AUGUSTA, Maine — A bill that would repeal nonmedical exemptions to Maine school immunization requirements won a split legislative committee’s backing on Wednesday, putting the measure supported by Gov. Janet Mills’ administration on track to pass. Majority Democrats unanimously voted Wednesday to recommend an amended version of Tipping’s bill. All Republicans on the panel opposed it. Now, Maine allows guardians to opt children out of school immunization requirements based on personal, religious or medical beliefs. Only 17 states allow personal exemptions while three states have no religious exemption, according to the National Conference of State Legislatures. Tipping’s bill would remove all nonmedical exemptions as a response to rising opt-out rates. During the past school year, only six states had a higher vaccine opt-out rate than Maine, and the share of kindergartners vaccinated for measles dropped in this school year for the third straight year with the share of students citing nonmedical exemptions rising from 5 percent to 5.6 percent. 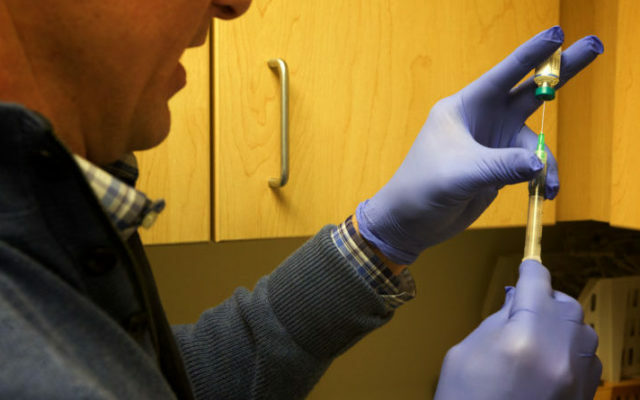 The Maine Center for Disease Control and Prevention warned those marks are risking the state’s “herd immunity,” a standard making it nearly impossible for contagious diseases to spread. Maine had its first measles case in 20 years in 2017, and 39 people have died from influenza here since last fall, including an unvaccinated child earlier this month. Support for the bill came from members of Maine’s medical community, the CDC and other public health advocates. At a hearing, Sen. Brownie Carson, D-Harpswell, cited his experience with a granddaughter diagnosed with leukemia who was held out of school because her suppressed immune system due to chemotherapy elevated the risk she faced from unvaccinated children. “We have to make decisions in 2019 that are for the greater good, and this is one of those,” Carson said. Republicans on the education committee criticized Tipping’s bill as a violation of personal and parental rights. Instead, they supported a proposal from Sen. Russell Black, R-Wilton, that would allow doctors to issue exemptions for nonmedical reasons. Democrats voted that down along party lines. Both proposals will now advance to the legislative chambers for further debate and votes. Sen. Matt Pouliot, R-Augusta, said while he would support further education in places with high shares of unvaccinated children, parents have “a multitude of reasons” why they don’t vaccinate their kids. He said Tipping’s bill effectively boots a class of students out of public schools. “I just don’t understand how anybody could support legislation that is going to segregate students in the state of Maine,” Pouliot said.